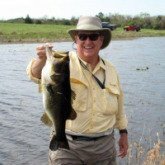 The Fishing Tips you'll find here relate to Buggs Fishing Lures and Fishing in general. First we'll talk about how to rig and prepare your Buggs. Then we'll talk about care. We'll also share how fishermen are using Buggs to catch more fish! Buggs Fishing Lures all incorporate bunny, and many utilize a custom screw lock so that the tail can be altered or changed. Head to the Rigging page to learn more. So Hippel, I thought this page was about tips? What gives? I'm glad you asked! Sometimes it helps to know what NOT to do. In fact, sometimes it's more helpful to know how not to screw it up than knowing the best thing To do. Confused? Fortunately for us all, this next article by Sonny Mills touches on both! If you fish shallow marshes in a kayak (or a poling skiff for that matter), here is some valuable information on what not to do, what to do instead, and how knowing both will help you catch more fish! This is Sonny Mills' second contribution to our website. Enjoy! Head to the Mistakes Kayak Anglers Make page to learn more. For those of you who like to get skinny, where the backs of redfish are often visible, here is some great advice on how to find the best places in the shallow marshes. And when you find the redfish, here is how to catch them, including the approach and lure selection! Accomplished Tournament Angler Sonny Mills lays it all out in his first contribution to our website. Head to the Marsh Fishing page to learn more. The weather has started to change, everything is getting green, and the action is heating up on the coast! But Spring Fishing can be tricky. Well here is some great advice to check out before you head out there in March, April, and May. Captain Jeremy McHugh lays it all out in his first contribution to our website. 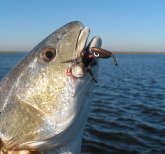 Head to the Spring Fishing page to learn how to target redfish and trout along with Gulf Coast this Spring. October is a magical time on the Gulf Coast. Captain Thomas Barlow will tell you why and offer valuable advice on targeting Redfish, Trout, and Flounder with Buggs! Head to the page to learn more about this magical time of year. Just how durable are Buggs? In his latest installment, Captain Thomas Barlow shares a really good fishing story, another reason Fall is his favorite fishing season, and mixes in some care instructions for your Buggs. Head to the Buggs Care to learn more. On those warmer, bluebird days this Winter you have a great chance of finding redfish cruising the flats. Some days, however, you'll find they get spooky and finicky in the clear water. Here are some valuable Winter Fishing Tips from Captain Kaylin Barlow! Learn how to fool fish this Winter by heading to the page. Bunny works best when it is wet, soaked all the way through. The hide will have small air pockets that hinder the action. This can be easily fixed by preparing your Buggs before you fish or when you're on the water. Soak them prior to your trip or when you change out lures. And if you're asking about what to soak them in, you're asking a good question. And you're about to learn about a really cool property of the bunny in Buggs Fishing Lures. Besides having unparalleled action in the water, bunny is absorbent. Look closely at the backside of a bunny strip, and you'll see the hide that the hair is attached to. This hide is absorbent, and will work and look better wet. 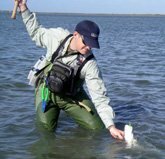 Soaking them prior to fishing will save you a step on the water, and could increase your chances of catching fish as well. A useful fishing tip is to soak your Buggs in Gulp liquid prior to use. There's no arguing the effectiveness of the Gulp baits. And if you need to get your Buggs wet prior to fishing them anyway, you'll be helping your chances. And if you're like me you might be wondering, "Will soaking them hurt the lures?" One of our customers has soaked his Buggs in Gulp for two weeks! He said that the dye on the bunny started to fade a bit, but otherwise they seemed fine. Now I don't recommend soaking them that long, but if two weeks doesn't seem to hurt them, then soaking them the night before your next trip should work well. Get them wet, soaked all the way through, before you make your first cast. You will tell the difference in the action when they are wet. Soaking them in Gulp is not necessary to catch fish on your Buggs Fishing Lures. It is no trouble at all to tie one on, and then put it under water to get the bunny wet. Simply squeeze the bunny between your fingers to get the little air pockets out and you'll soak it through. During the testing phases of Buggs Fishing Lures, we didn't soak them in Gulp because we wanted to make sure that this wasn't required. Not that we had much doubt, because bunny flies have been fooling fish for years! That being said, an important Fishing Tip for your Buggs Fishing Lures is to soak them in Gulp or your favorite scent before you use them, as this will only increase your chances to catch fish.